Some of my favourite posts to write are those that bring up the natural beauty and wellness products I’ve been loving over the course of the past month – my monthly faves posts. It’s been a while since I had the time to write one of these, but thanks to a long Easter break in Norway, I found the time to cozy up with some wool blankets and my laptop and curate for you March’s Monthly Faves. 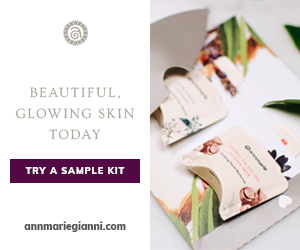 It’s a combination of my usual green beauty explorations and some other wellness and spirit soothing finds. I hope you enjoy, beautiful. I’m loving this concentrated corrective serum from a beloved brand, Maya Chia. The eye serum has been created specifically for the delicate eye area and contains nutrient dense oils of sweet white lupin seeds (helps with firmness), chia seed oil (what Maya Chia is known for), as well as protective raspberry seed oil and black cumin seed oil. But the real magic is working from the sea plants- macros and micro-algae extracts from Undaria Pinnatifida (great for anti-aging by promoting the cell’s ability to fight free radicals), sea lavender (which is shown to increase tubules length which increases microcirculation) and Alaria Esculenta extract (promotes firmness and elasticity of the skin). Needless to say, this eye serum is above and beyond when it comes to super ingredients and potent potions. I’ve been using it for a month and love the steel rollerball which massages the oil cooly into the skin, also helping to take down any puffiness. Shop online at Maya Chia online directly, or from The Detox Market. 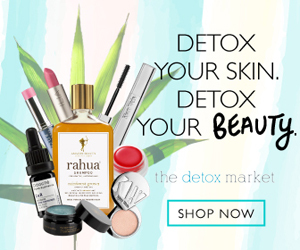 If you order from The Detox Market between April 1st & 2nd 2018, use code FREESHIP for free shipping in US & Canada. Kypris is another beautiful brand that makes some potent and beautiful products. This month I have been indulging in their Beauty Elixir No 3, Prismatic Array, a moisturizing facial oil that is perfect for even the most sensitive skin types. Youth boosting CoQ10, and collagen helping Vitamin C, this beautifully formulated oil is also packed with a heavy dose of seed, such as skin elasticity benefactor, Prickly Pear Seed oil. My skin has been loving absorbing this oil on the daily this month, it is so super nourishing and with no essential oils, it’s a super gentle oil for anyone who is sensitive to some of the more essential-oil infused serums (which I also love). It is rich and fatty, but is light enough for any skintype, yes even oily skin types. A few drops is all you need. 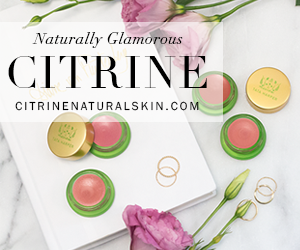 Shop online in two different sizes (47 ml is pictured) from Citrine Natural Beauty Bar. I seriously love Max&Me products – their purity is so highly regarded and their ingredients are beautifully blended. Use code LPN150 to get an incredible gift with purchase on their site, when you spend 150 EUR or more. 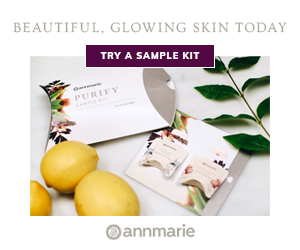 The gift includes: 5ml Mask&Wash, 5ml Beauty Balm and 10 ml Purity & Grace oil cleanser. Shop online from Max&Me’s site. I love essential oils for so many reasons: their healing properties, their scent, their taste (for some I take internally, but only certain oils). Rosemary is the oil I’ve been loving so very much this month, and have been using it in the mornings for dry brushing before my showers. I just drop 3 drops into my hand, rub the bristles of my dry brush in it and then go through the body working from the feet up. Rosemary is a great oil for diffusing, using topically and even taking internally (but before you take any essential oil internally make sure it is therapeutic grade, like doTERRA’s and ensure you are familiar with dosage). It is known for supporting healthy digestion, reducing nervous tension and fatigue, supporting healthy respiratory function, and maintaining concentration. Since it is a mild oil, most people do not need to dilute it before using, and you can use it “neat” or straight from the bottle. Save 25% of your orders by signing up for a Whole Sale account here. You can create an account and ship to almost anywhere in the world. Matcha has been all the rage this past year, no doubt because of the powerful anti-oxidant benefits riding in that green powdered tea. Studies show that Matcha reduces inflammation and fights damaging free radicals, so instead of just drinking it, why not also let the skin soak up the nutrients directly? This matcha clay mask combines purifying organic clay, hydrating coconut milk, pure honey, echinacea and the antioxidants of organic matcha powdered tea. They clay removes impurities and tightens the pores, while toning the skin, while the matcha tea is great for beating off those free-radicals, and the echinacea is useful for reducing redness and inflammation in acne. The removal of the mask will also help exfoliate dead skin cells. I left the mask on for 10 minutes and enjoyed the freshest feeling skin after removal. I loved also using the jade roller following the application with my facial oil to help plump up the collagen and stimulate the lymph. Save 20% off with code MatchaLPN on their website. This was kind of a random find when I was in Maui earlier this month – a duster for the yoni with a base of natural arrowroot, white clay and oregon grape root powder, myrrh powder and goldenseal powder and tea tree essential oil. Sitting in a wet bathing suit for the better part of a week after not being in a tropical climate for the past few months, I was extremely grateful to find this on the shelves of a little shop in Paia, Maui. Lucky for you, I found them online later, and you can order online. I would argue this is a must have for preventing or naturally treating issues related to yeast or unwanted bacteria, this Yoni Duster is gentle and effectiveI. It is a great alternative to perfume and chemical laden products that can make bacterial situations worse, and is a perfect travel companion when you’re heading to those sunny destinations. Shop online from their website. For the feminine soul, this book is a must read. I am still digging in, but thought I would share it with you since it is not going to be finished before month’s end. You spend the book digging into the Wild Woman archetype by delving deep into old folk tales and fairy tales to unlock the often unseen meanings. Clarissa Pinkola Estes, a Jungian analyst and storyteller who has a great deal of linage of female storytellers in her family. Digging into everything from trusting our own wisdom and not turning away from the hard parts in love, this book is a must-read for every woman that is ready for the plunge. Find this gem on Amazon for shipping worldwide. This month I have been using this month, without really knowing why I was reaching for it. It was only until after I spent some time researching the stone that it all made sense. When leading a very busy life, Tourmaline Rubellite has been said to be a great stone for bringing energy into the physical body. It is known for properties that also help increase enthusiasm and love for life. It’s a stone that is working a lot on the physical plane, which is something I needed when I dipped into these past days of holiday – an energy reboot. I found mine at a crystal shop back home in Vancouver, but you can seek one out at most crystal shops wherever you are. Hope you enjoyed this natural beauty and wellness round up. Have a beautiful return into Spring, beauties. Nice post! The products seems really very good. Thanks for sharing.